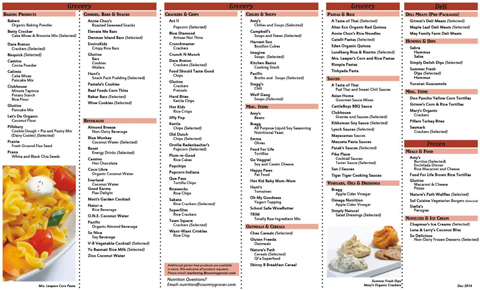 You are here: Home / Gluten-Free Recipes / Calling All Cauliflowers! After climbing as high as $9 per head here on Vancouver Island, cauliflowers are going for bargain-basement prices: 2/$5! What to do with this vegetable windfall? 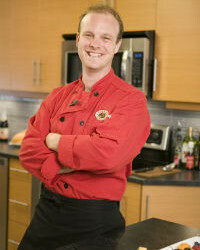 Country Grocer‘s in-house chef, Michael Williams makes short work of the vegetable all stars with these gluten-free recipes! 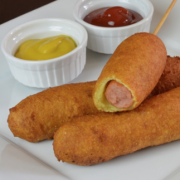 This delicious recipe is easy, enjoyable and light. 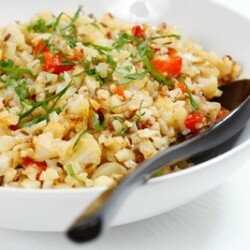 It makes a great side dish and to turn it into a full meal, just add some protein. 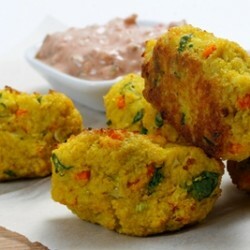 This cauliflower based creation is very similar to a falafel. 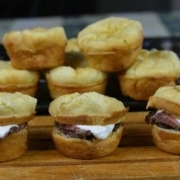 It makes a very light appetizer that is flavourful and very delicate. 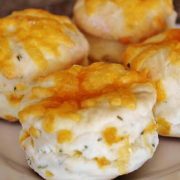 Make the mix up ahead of time and then form and bake when you are ready to serve. 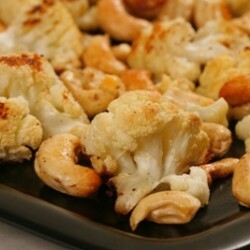 Oven roasting cauliflower is one of the best ways to enjoy to bring out the amazing nuttiness in this otherwise low flavor veggie. Your mouth won’t believe it! So we need to eat more green leafy vegetables if we want to be healthy, right? Here is a recipe for you to get it started. 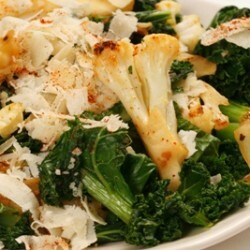 The nuttiness of the sautéed cauliflower balances out the bitterness of the kale. 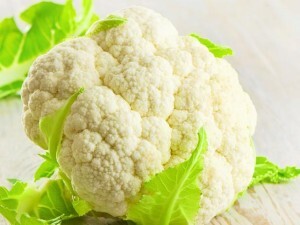 Have you got a favourite cauliflower recipe? 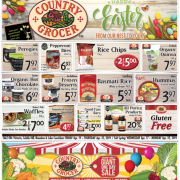 Country Grocer is a family-owned and operated grocery chain with 7 stores in Victoria, Cobble Hill, Salt Spring Island, Lake Cowichan and Nanaimo on Vancouver Island. Look for gluten-free shelf labels throughout their stores to guide you to exceptional products, amazing pricing and manager specials! 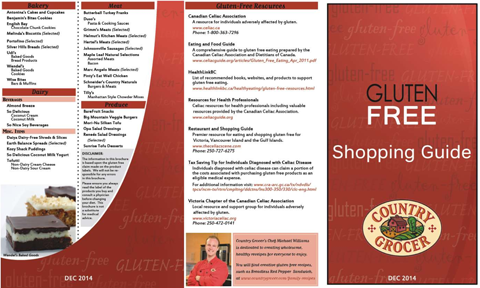 Ask for your copy of the Gluten-Free Shopping Guide at Customer Service. 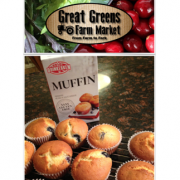 PEI's Duinkerken Gluten-Free Mixes Available Across BC! Gluten-Free Wontons? Egg Rolls? Potstickers? Dumplings? Eureka! 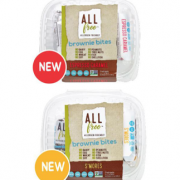 Gluten-Free... Rice Wraps Make Fresh – and Fun – Celiac Sammies!